Since 2003 we have helped hundreds of people and families across Manchester and the North West with their mortgages. Here are some recent testimonials. “Manchester Mortgages were recommended to us by several colleagues. They have provided an incredibly thorough and friendly service. They came to us at our convenience and were always happy to explain and help us navigate processes. As first time buyers, this was really important to us. Though we were fully involved from start to finish, we did none of the leg work, which made the whole process stress-free. “I was first introduced to Manchester Mortgages by a family member in 2012. At the time our credit profile wasn’t perfect. Manchester Mortgages were able to find us a mortgage deal from a lender who would accept our application taking into account our past credit history. Manchester Mortgages kept us informed throughout the process and even after we moved into the property have always been at the end of the phone to answer our questions. We have since remortgaged and we are now with a high street bank meaning we have saved a significant amount of money each month. 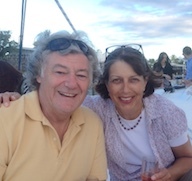 “We decided to purchase our first Buy to Let property in 2007. We were recommended to contact Manchester Mortgages by a work colleague who had used them previously. The service they offered was second to none. They met with us at a convenient time as my husband works shifts, they completed all the paperwork with us and kept us fully informed all the way. We have since purchased six other properties and used Manchester Mortgages each time and have never been disappointed. Our daughter has just recently bought her first property and we recommended her to Manchester Mortgages and she has been equally pleased with the service provided. Over the years I have signed up to various financial products via the service provided by The Team at Manchester Mortgages i.e. our residential and buy-to-let mortgages, life and critical illness cover. I have found that the process fully met my requirements in terms of product selection, speed of response and completion timescales. 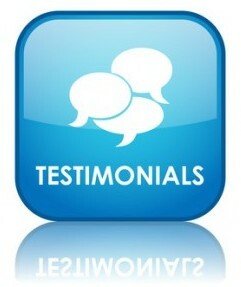 “The team at Manchester Mortgages have been very helpful over the many years of using the service. Prompt in any responses to questions, they take the time to look at your current situation, explore options that are suitable and present the options. They provide additional advice around general financial situations if required. There is flexibility when arranging meetings to accommodate around general work and home life, not rigid to office hours. “My partner and I contacted Manchester Mortgages to arrange a mortgage for us when buying our first house together after a recommendation from a work colleague. The service we received was impeccable, not only did they arrange a mortgage for us but he also arranged our life insurance cover. “Following the end of my fixed term mortgage I was looking for a new deal that was most suited to myself, my income and my circumstances. Manchester Mortgages spent a great deal of time listening to and understanding my specific needs. After careful consideration they proposed a new deal that fulfilled all of my requirements. The mortgage market can be very confusing and stressful but Manchester Mortgages made things clear, simple and straightforward. They were extremely reliable and always got back to me when they said they would and the process was quick and easy. With over 70 years mortgage experience, please give us a call on 0161 706 0242 or complete and send the contact us form and let us help you through the mortgage process – we are sure you will not be disappointed.